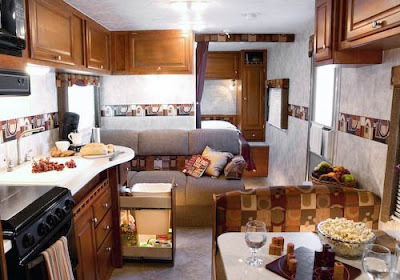 Some things just seemed to be standard issue so we didn't concern ourselves with items like a refrigerator, microwave, stove, oven, air conditioning, shower/toilet, awning, stereo/DVD player, and dinette. Of course, everything that we wanted also had to come under our maximum towing capacity of 7800 lbs. We even got to look inside some legendary Airstream trailers. Those were truly beautiful with modern airy interiors and thoughtful designs. Unfortunately, even the smallest of Airstream trailers were reaching our towing limit. Oh, yeah, they also listed at over $70,000! 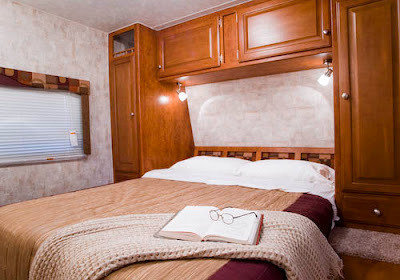 Tango brand trailers are built by Pacific Coachworks in Riverside, California. The quality of materials and construction and the abundance of storage areas as well as the large bunk area really drew us back to the Tango. Also, we decided that we didn't want a slide because it would add additional weight to the trailer and we wanted to be as compact as you could possibly be in a 30' trailer. So at the Coquitlam Center, when we saw that the Tango had been further reduced in price and after seeing all the other trailers at a higher cost even though the materials were inferior and the decor was beyond retro (venturing into grand-motherly), it was easy to take the step towards ownership. 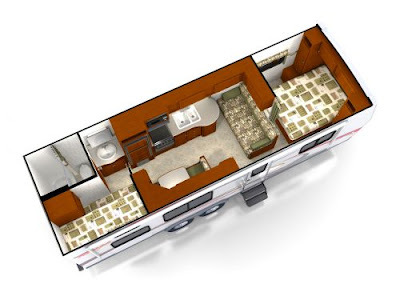 The Tango trailer also comes with exterior speakers and a power awning. 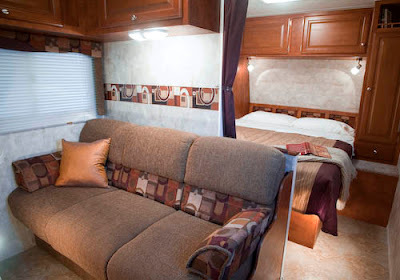 Here are a few pictures of the interior taken from Pacific Coachworks' web site.